Just put the .ISOs somewhere. #4231551 New Atari Console that Ataribox? If you like Star Trek, I hope you've seen Star Trek Legacy on Vimeo. It's awesome. Old made new again. Holistic ecosystem, no raw edges. That was great! I love the Tron Legacy soundtrack. And the movie was pretty much covered in 20 minutes! I think even if I had Bezos money I'd have problems paying $100k for an NES cart. #4222367 New Atari Console that Ataribox? I much prefer this classic book which reached early Amazon fame. #4217743 New Atari Console that Ataribox? New sequel released! Don't worry, Tacos do make an appearance. Wow. And I thought I had a lot of them! I'm just shy of 10 I think. #4214023 Your first video game played ? owned ? The very first? I couldn't even figure out which one it was officially. But I remember playing Space Zap with an aunt at an arcade/pizza place when I was around 5. My job was to keep hitting the fire button and she would push the directions. Worked pretty well! Also a memory of that long ago where we played the Fire Truck arcade together at a bowling alley. Other rumors have said that PS5 will be streaming-only, no physical media. All I know is that I'm probably going to sit out this next round of consoles. I say that every generation, but this time I mean it -- my time played vs. money spent ratio is truly ridiculous. I should have sat out PS4. Got one at launch, it probably hasn't even been turned on for more than 24 hours total. #4210387 New Atari Console that Ataribox? Holy crap. Really missed a money-making opportunity here. Wife and I were wanting to go to this finally this year, but the airline ticket prices are making this a no go for this year. Crazy how much more expensive it is per person to fly North than it is to Portland. Check out flights to Chicago. Renting a car from there might even be cheaper, even though it's 90 miles away. Or there is the option of Amtrak from Chicago to Milwaukee. Flights to Milwaukee can be stupidly priced depending on where you come from. Quick need of clarification on the cd support thing. I had asked you about it and you had said it would be coming later. But in this post you are not promising it yet. 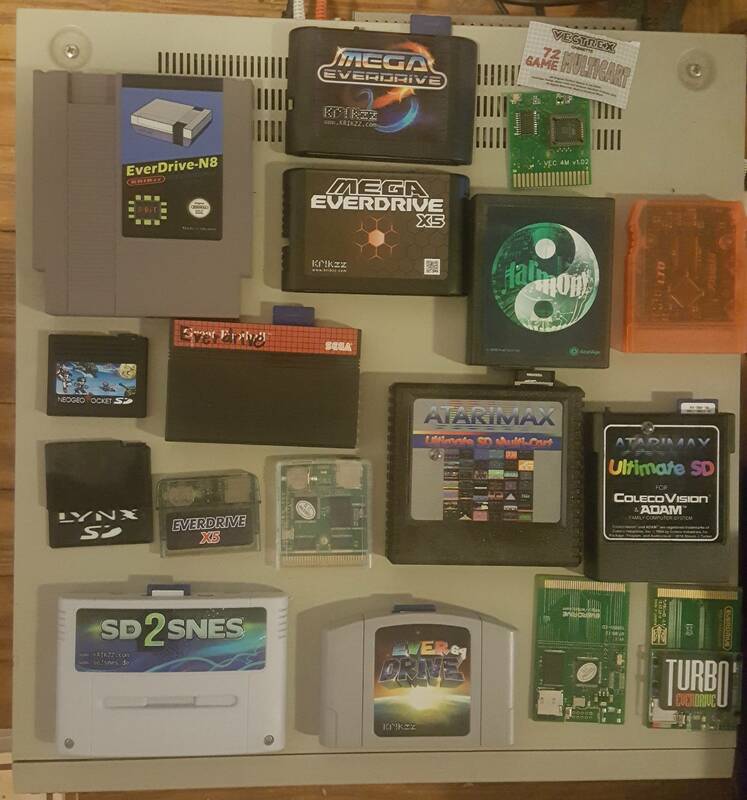 Now I am not going to say that an sd cart for the jag without cd support is not great work and great for some people, it just would not fit my needs right now. I would probably not want it without cd support. I have been planning to try and jump right in and get one of the first ones, but with you now saying this, should someone that feels no cd support would be a deal breaker (at least at this point) not be ordering one until you say otherwise on the cd thing? Less wanters mean a shorter waiting list for those of us that will want one. #4189886 New Atari Console that Ataribox? Happy 2019, the Taco Bell naked chicken chalupa is back!!! Bit of a reach, but anyone ever play Ribbit King? I had to get it after seeing it covered on X-Play way back in the day. It was just too weird and silly to not pass up.